Bonus MP3: Inertia feat. Lil Wayne and Tum Tum -- "Beddy Crocka"
Tonight, at the House of Blues, Dallas-based super-producers Play-N-Skillz will perform a set as part of a bill its sharing with Bone Thurs-N-Harmony and Play-N-Skillz's own G4 Muzik-signed artist, Inertia. Seems the similarly Dallas-based Inertia has been the major focus of the brothers Salinas for the past few months--ever since the NBA All-Star break, at least. That's when Juan and Oscar started running around town wearing shirts emblazoned with Betty Crocker's logo. Wasn't just a fashion statement, turns out. This week, the brothers are pushing Inertia's new single, called "Beddy Crocka," pretty darn hard. It's easy to see why, thanks to some guest appearances from Lil Wayne on the hook and from DFW's own Tum Tum, who offers up a verse to the track. Inertia feat. Lil Wayne and Tum Tum -- "Beddy Crocka"
This is Inertia's second single for G4. Still not great, but it's better than the last, I think. Problem is, the song seems to find Inertia covering up the Twista-like flow that made his other stuff relatively interesting, in the first place. Well, aside from a snippet there at the end. And I do like his use of the phrase, "Wokka wokka wokka." 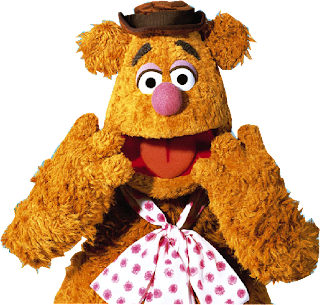 Fozzie Bear references are always nice.